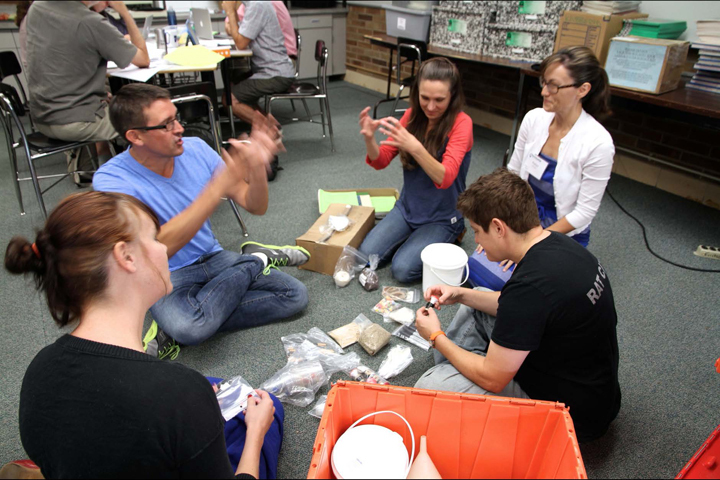 The Next Generation Science Standards (NGSS) call for learning experiences for students that are significantly different than most existing science curricula and programs. At the same time, districts and other educational providers are typically limited in their ability to adopt new curricula or to build out whole new programs. And that even assumes that there is new curricula that match the new vision called for in NGSS and the underlying NRC Framework for K-12 Science Education. At this point in time, focusing NGSS implementation on curriculum adaptation work is a powerful option for districts and other educational organizations. We developed this STEM Teaching Tool to describe what this can look like and to highlight important things to consider if you choose to go this direction in your organization. Although the tool’s primary audience is educational leaders (e.g., supporting improvement within a district), we believe it might also be useful to teams of teachers who are doing instructional planning at a local level or as part of an extended learning network.